So far it seems like Boeing and their customers caused the crash, with the shutdown having nothing to do with it. Raise your hand if you still like the thread title. If the shutdown caused delays in FAA certification for this system, that otherwise would have taken place and resulted in avoiding this accident, then I still like the thread title. If the delays to FAA certification are not implicated in possible corrective action that might have saved this aircraft and its passengers, then I think the thread title is at best, misleading. If Boeing were not even doing anything to certify MCAS, or the FAA certification didn't cover it, then the thread title is wrong and should be changed. I'm sorry that I can't give you the nice, clean, bright line (the one where everything on one side is black, and everything on the other side is white) that you are looking for. If there was no FAA certification, how do you excuse Boeing selling the plane, and airlines operating it? Hmm. I'm not 100% sure this means the airline did anything wrong as such. The incident when the off-duty pilot saved the day only happened the day before. Those pilots would have no idea that is was a systemic problem. I don't think that makes any difference. Let's assume they thought that it was a problem specific to that plane*. They should still have figured out a solution for that plane, or at least told any pilots flying it after them what the previous pilots experienced and how they handled it in case it happens again, which it did. They didn't do so. And that pane crashed as a result. *and it a sense it was: the crash seems to need a combination of the new MCAS, pilots who didn't know how to handle it, and a sensor error to make MCAS behave badly. The first two problems are systemic, but the last one isn't. Its not clear that they are the same planes... the article you linked contradicts itself on that matter. Lion Air have/had ten 737 max 8's. The one that crashed was PK-LQP. Belay that. It was the same aircraft. Not only that, but the night before, the crash flight, this same aircraft has a number of problems, including a burning smell in the cabin, and and a sudden loss 200 feet of altitude in just a few seconds. If all this is true, then you're right, that is a serious problem for Lion Air. Nonetheless, Boeing are still responsible for putting into an aircraft a new, automated system that is designed to take control away from the pilots, without any documentation in either the QRH or the FCOM. That alone is unprecedented, and unacceptable. Last edited by smartcooky; 20th March 2019 at 06:27 PM. It's possible the airline said, "the problem was reported on *this* 737-MAX; no reason to warn the pilots of *that* 737-MAX". In that case, I'd want the left thumbs of everyone involved in that decision, yakuza style. Why would they think it was a general rather than a specific problem? It is made even more serious, in that some pilots clearly knew how to override the MCAS system. On the Lion Air plane, the day before the crash, an extra pilot riding in the cockpit saved the very same plane from crashing. Why that plane wasn't grounded immediately, isn't understood by me. Investigators said the jet experienced problems on its last four flights -- including, crucially, the flight that crashed, according to Tjahjono. Last edited by Drewbot; 21st March 2019 at 05:49 AM. Well maybe the Boeing people were just tired, did you ever think of that? Because the pilot that solved it did so using general knowledge of the type. Also because considering and accounting for that possibility should have been an automatic and immediate response to the incident. How about viewing these crashes as a victory for deregulation of industry making it better and more efficient?
" For the past decade, the FAA has embraced a policy of letting aircraft manufacturers like Boeing self-certify that their systems meet safety requirements. According to Seattle Times aerospace reporter Dominic Gates, the FAA delegated the certification of the 737 Max’s MCAS system to Boeing itself. The company’s own engineers, “authorized to work on behalf of the FAA,” conducted the safety analysis of the system, Gates writes, and “concluded that the system complied with all applicable FAA regulations.”"
Of course, we must critically examine the system that allowed apparent fatal flaws in design to sneak through. However, this can also be seen as an example of “the exception proves the rule”. Over the last decade, millions upon millions of miles have been flown by US carriers, most years without a single fatal accident. Making airline flying one of the statistically safest things one can do. And that’s all with existing procedures in place. I think to take these two recent failures of the overall system as endemic is a case of “hasty generalization.” But we must ferret out the specific cause(s) of these specific crashes, and if they do point out a fundamental flaw in the safety systems we depend on to keep airline travel safe we must address that flaw or flaws. But the system we have in place has been pretty darn successful over the years, and that should be recognized - and applauded. Last edited by Fast Eddie B; 25th March 2019 at 06:53 AM. And we have been breaking it down with things like self certification from the manufacturer. In a way like with vaccines it is a victim of its own success, and people forget why the regulations exist in the first place. Would the FAA have certified this plane to fly? Good that they aren't needed anymore I guess. We know manufacturers don't really care be they Boeing or GM, they are happy to have customers die as long as it does not result in bad press. I pretty much go along with most of this and the excerpt you posted, except this bit. "Even if the pilots disconnected the trim system (as per Boeing 'fix'...) its likely to be left in a nose heavy trim position... which takes time to fix... "
Not if I understand MCAS functionality correctly. Switching off the stab trim does not disconnect the trim and leave the elevator in a fixed position, it turns off the autopilot inputs to the trim system. This means the trim system is returned to manual control, and the pilot is no longer fighting against the autopilot. Have not finished research... It appears you could stop this by cutting off the stab trim to the autopilot. Does that mean the electric trim on the pilots yoke works when you cut out the stab trim switch? I think it might, and you could just trim the stab and the MCAS would have to catch back up, you could play cat and mouse with the failed system if you were in 'test pilot' mode. When we had runaway trim, we cut out the trim, and lost electric trim. Or you could stop the trim runaway by using the trim on the yoke in the opposite direction while you cutoff the trim on the console. I have to catch up, by researching the questions I have: were the pilots had flying vs. the autopilot flying the departure (I always hand flew departures and approaches in the KC-135, an old plane with fly by wire, aka wires directly connected to the control surfaces with some help with hydraulic assist to the rudder which could be cut off, and hydraulic spoilers, which could be cutoff. If I flew the 737 Max, all I need to know is how to stop the failed input, what switch and action do I take. In the KC-135 our electric trim was very fast, if you accidently hit the trim down, the plane would pitch over knock off the generators and you have 6 seconds or less to recover. The trim was fast because of our refueling mission, and also comes in handy when a C-5 or large aircraft is in the contact position, we need to trim for the bow-wave effect. Our cars are starting to do stuff automatically, like stop the car from backing up, or moving. Too many questions I have not looked up for answers. Did they flight test the new pitching moment of the engines without modification to the flight controls? Was it more than the pilots could handle? It does not make sense to add active measures without thinking about the failure modes. Makes me wonder if they had enough pilot who are engineers in on the design, or did some engineer add a fix without oversight. I hate flying Airbus, they always seem to pitch over at leveloff vs a smooth power slight trim adjustment any pilot could make for passenger/crew comfort. How did Airbus fix the take, oops, autopilot wants to land and crash problem. I would disconnect the autopilot, and it appears you would have to know to hit the cutoff (turn off) the stab trim for the autopilot. If my trim was moving without my input, I would be upset, and run it opposite at a minimum, which might of saved both flight if that was the problem. We had simulators rides which constataly had runaway trim and other emergency. It became nearly and instant reaction to stop runaway trim, and it was why you have a pilot, to take care of emergencies. Both crews must of been clueless that the MCAS was trimming slowly nose down until they lost elevator authority and nose dived into the ground with MCAS trimming all the time nose down - something I assume shows up on the TRIM-Wheel right next to them, something that should be in their cross check even if they have no clue What MCAS was. I can verify what beechnut is saying here. I was a simulator operator at Castle AFB (SACs training base for the B-52 and KC-135) for over ten years. I'm one of those guys who gave the pilots a bad time, professionally. A regular part of almost every emergency procedures mission was 'runaway stab trim'. The center console layout of the 737 is much like the 135. The stab trim wheel, quadrant and cutout switches are apparent, and easily accessible. It should have been quite obvious that the trim was running, and, regardless of the cause of the runaway, the emergency procedures have not changed in fifty years. This is what the pilots were heard saying just prior to the crash. "Soon after take-off - and just 450ft (137m) above the ground - the aircraft's nose began to pitch down. One pilot, according to the Wall Street Journal, said to the other "pitch up, pitch up!" before their radio died. The plane crashed only six minutes into its flight." Do I have to say it? If the flaps were still down at 450 AGL, how on earth could the MCAS be pitching the nose down? IMO, there should be NO system on an aircraft capable of autonomously pitching the nose down only 450 AGL; at the typical climbout rate of 1800 FPM, that is about 15 seconds after V2 rotate. Under those circumstances, its amazing that the flight even lasted as long as six minutes. Last edited by smartcooky; 30th March 2019 at 02:02 PM. Ianap but I have been reading the posts of various pilots. The failed AOA sensor is going to give a stall warning with the stick shaker. This will grab the pilots interest first. The MCAS does not behave like continuous runaway trim, it is intermittent, much like STS. There are multiple events and alarms going on. A stall warning at the same time as overspeed is going to cause confusion. They are still in the takeoff phase of the flight when they are going to be busy anyway. Given the circumstances the possibility of the pilots not getting it right in time, since they are still low to the ground, which they don't have a lot of, is going to be very high. Only uses one sensor for input. That's exactly what it does (I assume by "elevator" you mean "horizontal stabiliser"). It cuts power to the electric motor that drives the jackscrew. After that, the only way to move the horizontal stabiliser back is to do it with human brute force through the trim wheels which are mechanically connected to the stabiliser trim system. Other points of interest: at 5:20 there is footage of the jackscrew in operation and at 17 minutes a demonstration of runaway trim in the simulator (on a Boeing 737 NG, not a MAX). You'll note that, returning the trim to a sane setting is not an instantaneous task and it took both pilots working together several seconds to complete the task. If your emergency started at below 1,000 feet, I imagine this would be time critical. Would the FAA have certified this plane to fly? Good that they aren't needed anymore I guess. But interestingly, there is a relatively new class of aircraft where the manufacturer is allowed to self-certify that their aircraft meet appropriate standards. The are called Special Light Sport Aircraft. This class was created just over a decade ago and has been pretty successful. The aircraft included are admittedly light weight and can only carry two occupants and have a few other limitations. This was motivated by the fact that no major manufacturer was providing light training aircraft, and the fleet of existing trainers was getting very, very old. Of course, we should expect the FAA to be far more involved in certifying commercial aircraft. But I don’t think it’s that unusual for them to do so largely via oversight, vs direct, hands on testing. Certifying any aircraft is a Herculean task. The joke among pilots is when the weight of the paperwork equals the weight of the plane, it’s ready to fly. We know manufacturers don't really care be they Boeing or GM, they are happy to have customers die as long as it does not result in bad press. I think that paints with too broad a brush and is way too cynical. But you’re entitled to your.opinion. Finally, a linked article posits that the pilots had mere seconds to react. I hear that and I think maybe 10 seconds, max? But 40 seconds would have seemed like a horrifying eternity to those pilots as they continued to wrestle for control over a system they apparently did not fully understand. As I said upthread, high on the list of a pilot’s worst nightmares. Last edited by Fast Eddie B; 31st March 2019 at 05:44 AM. Are you sure? Over on SGU someone just put forth that the 737 Max series still uses cables, rods and hydraulics for flight controls. Or were you excluding the 737 Max as not being “modern”? It’s kind of a hybrid, with very old roots but lots of modern tech tacked on. This, from Quora: Every newly designed Boeing aircraft since the Boeing 777, which came out in 1995, has fly-by-wire controls. Legacy aircraft which still sell, like the long-in-the-tooth 737, the new version of the 747, and any 767 still being manufactured (for the military or civilian use), are still non-fly-by-wire. 737dates back to '60s technology. They keep fiddling with it but that doesn't make it a modern plane. plenty of old anachronisms are in them that would not be allowed today but were grandfathered in. The lack of emergency slides off the wings, for example. Did activation of the MCAS nose-down function generate a clear warning to the pilots? An audible alarm ("Anti-stall nose down trim activated"..."Anti-stall nose down trim activated") or something equivalent? Many of the accounts I've read suggest that the pilots were, at least initially, unaware that the MCAS system had become activated and was operating the stabilizer trim "in the background." If true that appears to be a significant flaw in the design of the system. No. MCAS is supposed to provided a little tweak to the trim to make the stick feel heavier instead of lighter so that the plane feels just like an NG in a situation approaching steal. Otherwise the engines provide aerodynamic lift that makes the feedback forces on the yoke feel lighter and fools the pilot into thinking it's less likely to stall than more likely to stall. That is all supposed to happen without the pilot having to be aware of it. turning off teh Stab Trim switches may disable the electric trim system, but the pilots can still trim the pitch using the trim wheels. I reiterate what I said earlier. Any system capable of autonomously pitching the nose down when the aircraft is at low altitude is a recipe for disaster. There is no way this should ever happen at 450 ft and V2+15 kts. I agree it's a flawed design. And I used to work there. I'm glad I don't now. Regarding the trim wheels: When the NG was being introduced, I happened to be the Lead Engineer in charge of them and a whole lot of other stuff. There were some issues. The new display system created a pinch point between the dash and the wheel. We had to make the wheel smaller. And the new trim motor resulted in the wheel, which is directly connected to the stabilizer by a long cable, springing back when electric trim was used. It was an undamped mass on the end of a spring. We had to add a damper. Result: Depending on the flight conditions, the force to manually trim can be extremely high. We set up a test rig and a very fit female pilot could barely move it. As I said, I'm glad I'm no longer there. And of course those regulations have also been successfully cut back because regulation=bad! Why would Boeing be so different from GM that let a known defect kill dozens to hundreds? I mean sure GM was engaging in criminal actions but of course that doesn't really mean much when it is a company it isn't like the people deciding to let people die faced any personal consequences. "GM had already admitted that its employees were aware of the problem nearly a decade before it started to recall millions of the cars early last year. That delay is the basis behind the criminal charges. "People were hurt and people died in our cars," GM CEO Mary Barra told employees Thursday afternoon. "That's why we're here today." The settlement was disclosed Thursday by the Justice Department. No individual GM executives were charged in the case -- a fact that was called "grossly inadequate" by the mother of a crash victim." Letting a lethal defect go for a decade is just what you have to expect. Why would Boeing be so different from GM that let a known defect kill dozens to hundreds? Because a few plane crashes due to a design defect is all that’s needed to destroy the commercial viability of an aircraft model. A lesser company than Boeing would probably be finished by the adverse publicity they have received from this. Even if Boeing survives (they probably will), the 737 max is probably done. One of the ironies here is that Boeing got in trouble here partly because it tried NOT to let a safety defect go through, but just failed to address it properly. Had they really been indifferent like GM, they wouldn't have bothered with the MCAS system to limit angle of attack. After all, most pilots won't put the plane into a stall condition, and if they do, that's the pilot's fault. But neither plane that crashed did so because of a stall from too high an angle of attack. Had Boeing not tried to fix the stall problem with MCAS, those planes might not have crashed. But as jeremyp suggested, the financial incentives for Boeing are different than they were for GM. Commercial jet customers aren't casual buyers. They're airlines who buy entire fleets of the same aircraft, and research their multi-million dollar purchases intensely. If there's a safety problem with an aircraft, the airlines notice quickly, and have strong incentive to simply not buy that plane at all. A car buyer might chance buying a less safe model, but airlines are risk averse. Because a few plane crashes due to a design defect is all that’s needed to destroy the commercial viability of an aircraft model. Commercial jet customers aren't casual buyers. They're airlines who buy entire fleets of the same aircraft, and research their multi-million dollar purchases intensely. If there's a safety problem with an aircraft, the airlines notice quickly, and have strong incentive to simply not buy that plane at all. Pilots will tell you that the DC-10 was a great aircraft, a pleasure to fly and has an overall safety record that compares favourably with other similar aircraft types. However, some serious design flaws, safety issues and catastrophic hull losses early on pretty much put this aircraft on the back foot, and it never recovered from its reputation as "Death Cruiser 10"
As a result, airlines were not interested in buying, and they haven't been built since 1988. You pretty much only see them in Cargo service now. KC-10 tankers are still used by the USAF and, AFAIK by the Dutch Air Force. But it will result in bad press, and lawsuits. This is one of those cases where everyone's interests are aligned. Nobody (among the manufacturer, the airline, and the passengers) wants the plane to crash, because that is a very bad outcome for all three. Therefore it is in Boeing's interest to make sure that its planes are safe. They have had a very good safety record overall, these 2 recent crashes excepted. And how is that different from from GM? They don't want their cars to crash but they also are on record for simply not caring about the deaths involved? The market will clearly resolve the situation and they clearly shouldn't have been charged with those felonies(the company of course no actual people would ever be blamed for something like this). The difference is the consumer and the regulatory environment. A major plane crash will be investigated such a thorough way that is not comparable to what happens when a fatal car accident occurs. Also, Boeing sells planes mostly to other large businesses that are going to engage in much more diligence than the typical car shopper. Simply put, GM has some reasonable hope of keeping a defect secret, where Boeing does not. If the defect is serious enough to cause a real problem, it's in Boeing's interest to fix it before their customers find out the hard way. See the problem is the excess regulation. Just what our president is fighting against! The difference is the consumer and the regulatory environment. A major plane crash will be investigated such a thorough way that is not comparable to what happens when a fatal car accident occurs. In addition, mechanical failures in cars don't generally lead to fatal crashes, because usually when a car stops working, it simply stops. 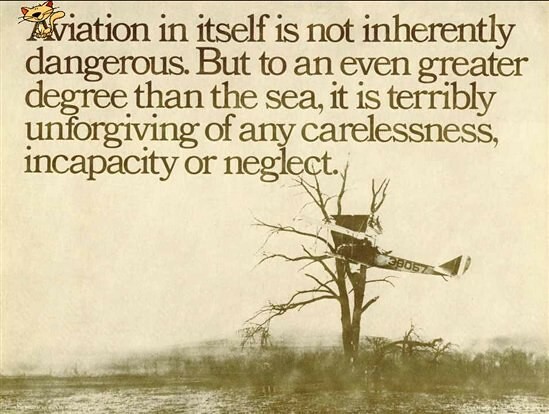 An airplane can't stop until it reaches the ground, and if it does so in an uncontrolled manner, then everybody dies. So there's a lot more fault tolerance in cars than in planes, just by the nature of what they do. So there's a lot more fault tolerance in cars than in planes, just by the nature of what they do. People don’t refuse to get in cars simply because a couple of them have crashed. There have recently been a few well reported crashes involving Teslas, but I have not heard of anybody saying “they are too dangerous, I wouldn’t bet seen dead... scratch that last word ... in a Tesla”. However, I’ve seen many messages on the various forums I frequent in which people have said “I’ll never travel on a 737 MAX” or “I’ll never travel on an airline that uses the 737 MAX” or even “I’ll never travel on a Boeing 737”. This last is especially irrational, since the NG has a pretty good safety record as far as I know. The Ethiopian Airlines Boeing 737 MAX, which crashed in March and killed 157 people, suffered a damaged angle-of-attack sensor upon takeoff from a bird or foreign object, triggering erroneous data and the activation an anti-stall system -- called MCAS -- sending the pitch of the plane downward and ultimately crashing into the ground, two aviation sources familiar with the investigation told ABC News. As the jet was nose diving, the Boeing 737 MAX pilots did not try to electronically pull the nose of the plane up before following Boeing's emergency procedures of disengaging power to the horizontal stabilizer on the rear of the aircraft, according to the sources. One source told ABC News that they manually attempted to bring the nose of the plane back up by using the trim wheel. Soon after, the pilots restored power to the horizontal stabilizer. With power restored, the MCAS was re-engaged, the sources said, and the pilots were unable to regain control and the plane crashed. The preliminary findings in the crash investigation are expected to be released by transportation officials in Ethiopia on Thursday morning. Well if this is true, then that 100% confirms my view that this MCAS system is a deeply flawed design. There is no way that one failed sensor should ever put an aircraft in danger of crashing. Whoever designed such a system, and whoever approved such a system for flight needs to be brought to account. FWIW, I think the whole idea of an autonomous anti-stall system is madness. Stalls and potential stalls should be managed by the pilots.... that is what they are there for. Airbus prevents stalls. They aren't supposed to happen. MCAS is not supposed to prevent stall but activates when there is a high AoA that is nearing a stall to give the MAX the same "feel" to the pilot as the NG. Hence, no training is required in the Sim to move from the NG to the MAX. In the the case of MCAS it points the bloody sharp end downwards... autonomously, regardless of pilot input. Unacceptable IMO, and doubly so at 450 feet and V2 +15kts on climbout. Yes, that is how it changes the feel of the yoke, by pointing the nose down. An ugly hack and not well implemented. To be fair, all pilots are trained in recognizing and ways to avoid stalls almost from the very beginning of their training. Wings are designed so that the stall begins at the wing root and progresses outwards, allowing the ailerons to remain effective for roll control even when the inboard portion of the wing is stalled. Most, but not all, small aircraft have some sort of stall warning systems to aid the pilot in that regard. But large jets with swept wings are much less forgiving. Hence the need for more sophisticated warning systems. It can be a horn or light, followed by a stick shaker and then a stick pusher in some planes. If one wing stalls first, the plane can enter a spin - recoverable in most small planes but possibly not in a large jet. Anyway, it’s hardly fair to automatically blame the pilots for not “managing” the perceived stall warnings properly. Last edited by Fast Eddie B; 4th April 2019 at 02:47 AM.